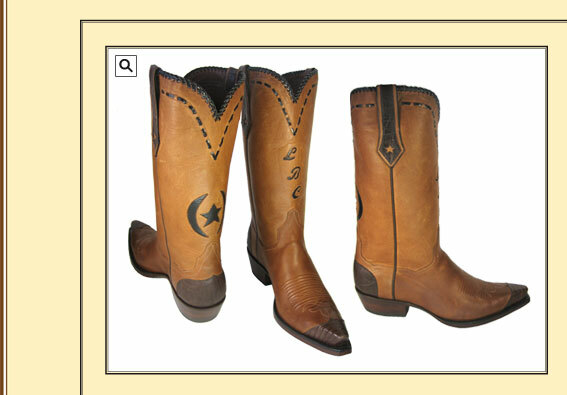 All rancher horse hide with brown Lizard toe, heel and pull trim, shown with a narrow square toe & 1 1/2" heel. You can add your initials or brand, the top has hand braiding to finish this great looking boot off. Available in light tan, medium brown & black.